...The sale of the Rafale has become a state affair in New Delhi. Suspecting a "huge scam", including the price of aircraft and the role of the Reliance group, opposition parliamentarians seized Thursday the Comptroller and Auditor General of India (CAG), the Indian Court of Accounts, a request for investigation into this market for "mismanagement of public funds, endangering national security, favoritism and violation of the legal provisions of the markets by Dassault Aviation". At the heart of the memorandum filed with the CAG, the French firm is questioned for the "compensation" agreement signed with Anil Ambani, which requires Dassault to reinvest locally 50% of the amount of the sale. The French armament group, led by Eric Trappier, told “Mediapart” that he would make "no comment". The opposition also accuses Prime Minister Narendra Modi of favoritism for "ensuring" that the compensation contract is vested in Ambani's company, which has never hidden its support for the head of government. Reliance Defense Limited is also, they note, "a private company with no experience in the manufacture of fighter jets", which is also recorded "twelve days" before the announcement, on March 28, 2015, of the purchase of 36 Rafale aircraft by Narendra Modi during a visit to Paris. Joined by “Mediapart”, François Hollande certifies that he was "not at all informed" of this partnership and that he "knew nothing" about the Ambani company. 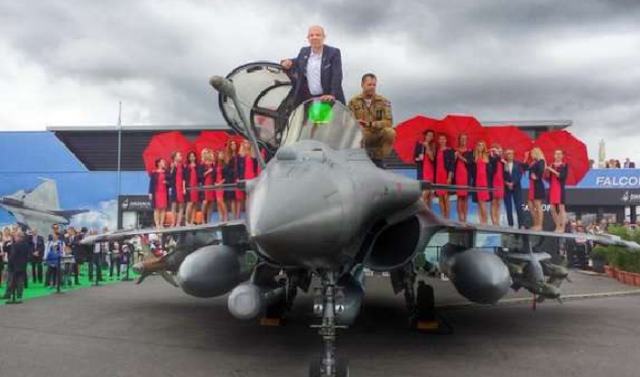 The presidential trip is indeed devoted to other issues, since it is to conclude the sale of the Rafale – a possible third market for the aircraft manufacturer, after Egypt and Qatar. Indian Prime Minister Narendra Modi said, as of January 25, he has "found an intergovernmental agreement" with Francois Hollande on the purchase of aircraft. "I intervened in this case with two prime ministers, to say that I was sensitive to this negotiation”, says Francois Hollande to “Mediapart”. “Initially, the market was to be 126 aircraft, and then when the change of government, the Indians reformulated their proposal, less attractive for us, since it was only 36 aircraft. But the manufacture was planned in France, contrary to the previous proposal, so we lost on one side, but we won on the other." But the new device also provides for this "compensation" contract, now criticized, between Dassault Aviation and its partner ... Reliance. How and by whom was this selected? "We did not have a say in this," continues François Hollande. “The Indian government proposed this service group, and Dassault negotiated with Ambani. We did not have a choice, we took the interlocutor who was given to us. That's why, on the other hand, this group did not have to give me any thanks for anything. I could not even imagine that there was any connection to a film by Julie Gayet." ...Given the extent of the questions posed by opposition parliamentarians at Comptroller and Auditor General of India, the Dassault-Ambani affair is just beginning. One of the main grievances of elected officials is the cancellation of the initial tender by Prime Minister Narendra Modi, who came to power in May 2014. The previous government put on track the purchase of 126 aircraft, and a "working agreement" between Dassault Aviation and the Hindustan Aeronautics Limited (HAL) public armaments group stipulated that 70 out of 108 aircraft would be manufactured in India. However, on April 10, 2015, Narendra Modi announced during a visit to François Hollande in Paris, the purchase of 36 aircraft, built in France, for 7.5 billion euros. According to the opposition, Modi could not simply cancel the current call for tenders. Neither to make this announcement without offering Dassault's competitors a new bid submission. In addition, the new agreement increases the unit price of aircraft by 300% and is catastrophic for the HAL Group's order book. The defense branch of Reliance, the group of Anil Ambani, is already in the loop. It was registered 12 days before the announcement of Modi. Another subsidiary, Reliance Aerostructure Ltd, is incorporated 14 days later. Anil Ambani is a staunch supporter of the Prime Minister. As “Le Monde” pointed out on his birthday in 2016, he called Modi "leader of the leaders" and "king of kings". In September 2016, the Minister of Defense, Jean-Yves Le Drian, validates the details of the intergovernmental agreement with his Indian counterpart, Manohar Parrikar. 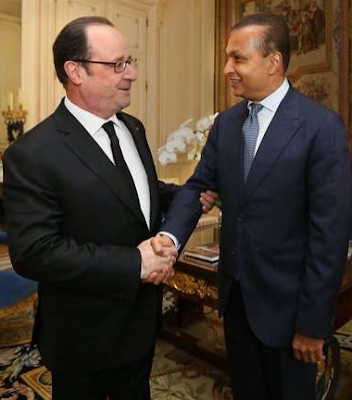 President François Hollande also receives Anil Ambani during his visit to Paris in February 2017, following a "meeting with the Ministry of Defense" . After the election of Emmanuel Macron, it is the Minister of Defense Florence Parly who recovers the file. 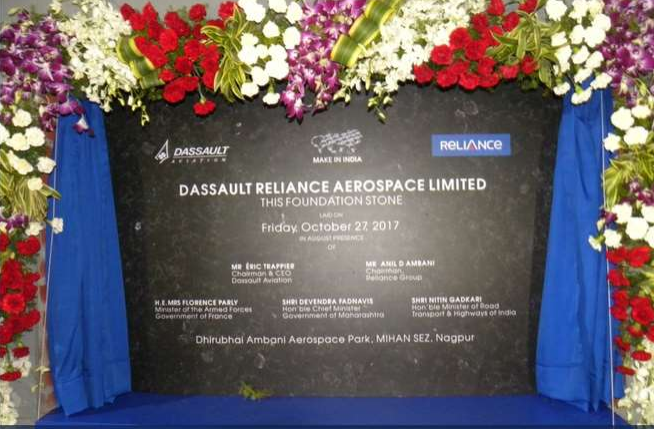 She traveled to India in October 2017 to open one of the facilities of the Dassault Reliance Aerospace Limited (DRAL) joint venture, Ambani Aerospace Park, in Mihan, Nagpur. The duo announces the investment of 100 million euros in the manufacture of components for the Rafale. A drop of water compared to the contract. "There is a serious industrial risk for Dassault, because we are dealing with a company that has never built a plane and never touched the defense ," said a French defense analyst. “The offsets provided represent huge sums of money, and there is the question of the ability of local industry to absorb technology transfers."